Our company is one of the main producers of Automatic Lead Wire Welding Machine in Taiwan, and is highly regarded for quality products. Please feel free to contact us if you are looking for a reliable Welding Machine Manufacturer. 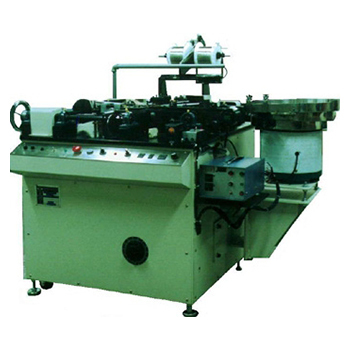 This Automatic Welding Machine is particularly designed for making series-sport welds plastic film capacitors to lead wire permitting auto- matic operations including feeding, welding, photo sensor and automatic cam control of capacitor and lead wire. It can provide lead wire and elements of act exactly. Machinery transmission adopts cam driver, action precise, operation easy. Main driver uses Ac conversion controller, could stepless adjust speed. Process control adopts (P.L.C. ), easy install, operate and maintain. Welding unit uses power source compensation and up slope control welding current stable. 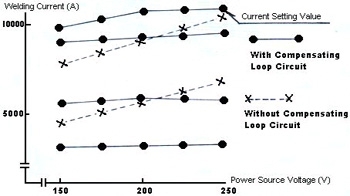 In welding condition, may be welding current will transform as power source voltage. 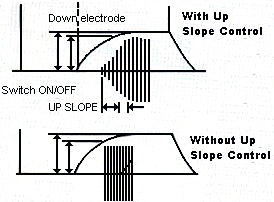 The compensating loop circuit can make welding current stabl. Welding parts would be suited by up slope control, and beginning press time will be reduced.